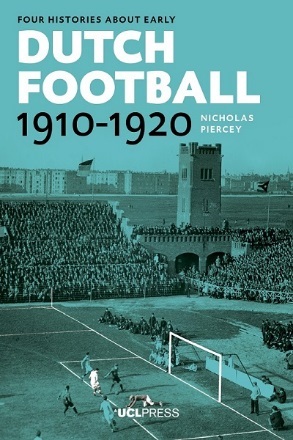 In January 2016, I spent a week in The Hague, Rotterdam, and Amsterdam researching and finishing the writing of Four Histories about Dutch Football 1910–1920: Constructing Discourses, an Open Access book to be published in October by UCL Press. The ALCS grant enabled me to complete my research in both the Koninklijke Bibliotheek and Nationaal Archief in The Hague. I was able to examine original documents from the Nederlandsche Voetbalbond relating to football club members in Rotterdam in 1914 and to compile a database, which will accompany the published book online. The grant also allowed me to travel to both Rotterdam and Amsterdam to take photos of contemporary sporting sites, and sites that used to be the location of sporting spaces. These photos will be used in the forthcoming book. Perhaps most importantly the grant gave me the opportunity to complete my manuscript while in the Netherlands, providing me with access to original sources and a wealth of libraries and archives. I would profoundly like to thank the ALCS for its generous support of this research trip and the contribution it has made to the successful completion of my book.